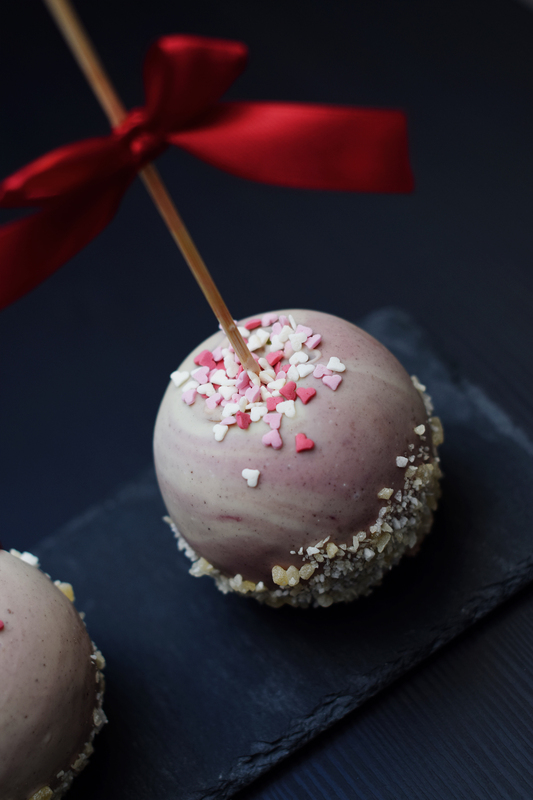 Valentine’s Day is only 1 night away and I’ve been keeping busy coming up with a new last minute recipe for you! This is a super quick, simple and effective dessert you can whip up for friends or loved ones any time of the year really. So happy Valentine’s Day everyone! Let me know what you end up making! 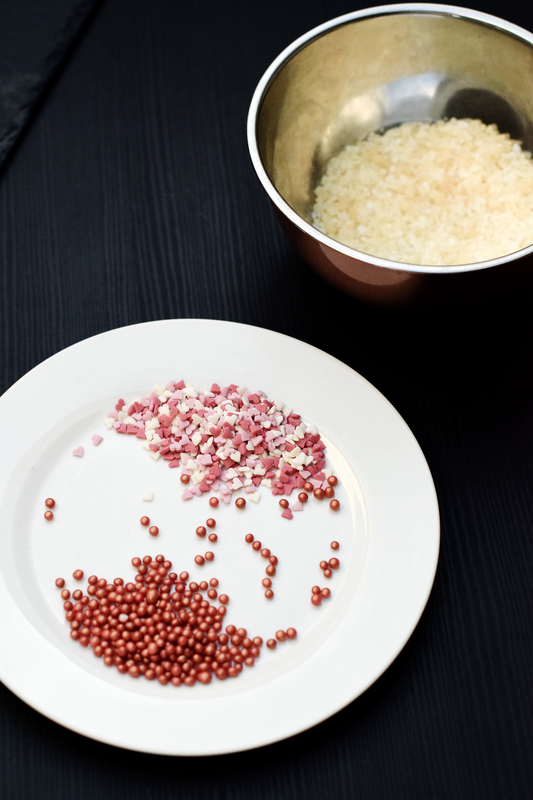 This is probably the easiest part of the entire recipe. 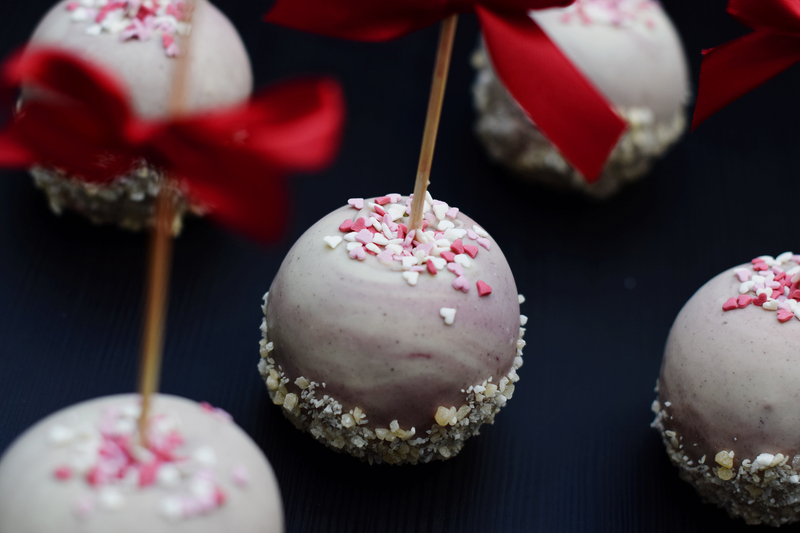 All you need is a couple apples, skewers, white cooking chocolate, food colouring, toffee (/caramel) and decorations of your choice. If you don’t buy organic apples, I recommend dipping them in boiling water for 2 minutes and scrubbing off the wax as this will make the coating stick better. In order to create a thin, sticky caramel layer around the apple simply throw it in a pot, add a small splash of water and bring it to a boil. Obviously feel free to make the caramel from scratch but I have already ruined a fair share of pots trying to get it right so on this occasion I simply decided to buy some toffee candy and melt it. Once melted, tilt the pot slightly, dip the apple, spin it a bit, let the excess drip off and put onto a baking tray to harden. 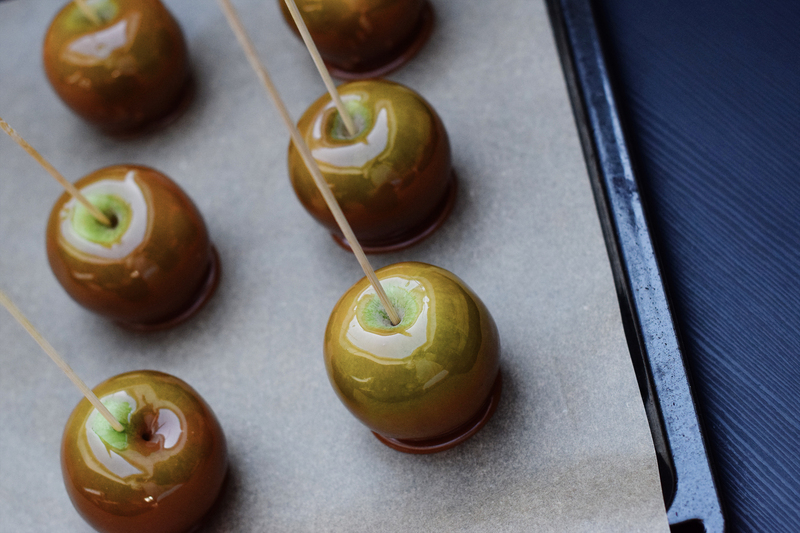 TIP: once you take the caramel off the heat it hardens really quickly which might produce bubbles on your apples, so work quickly. If you bought cooking chocolate this part is very straight forward. 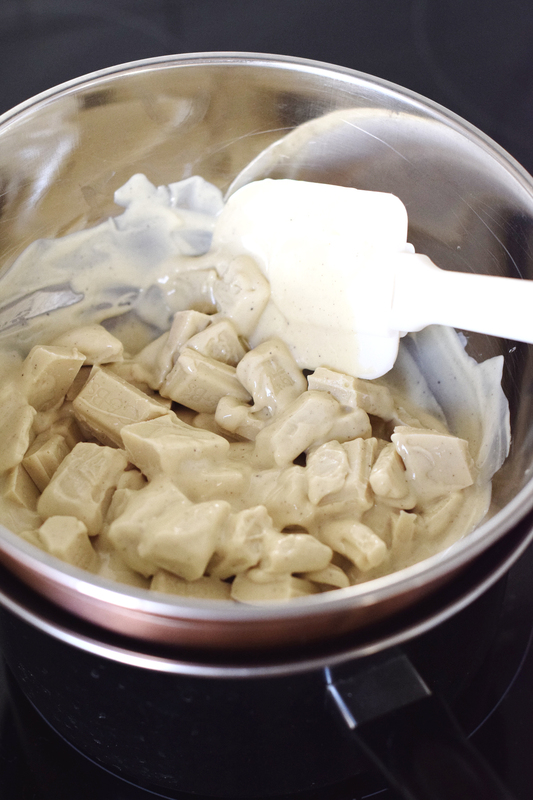 Simply melt the white chocolate in a bowl over boiling hot water. 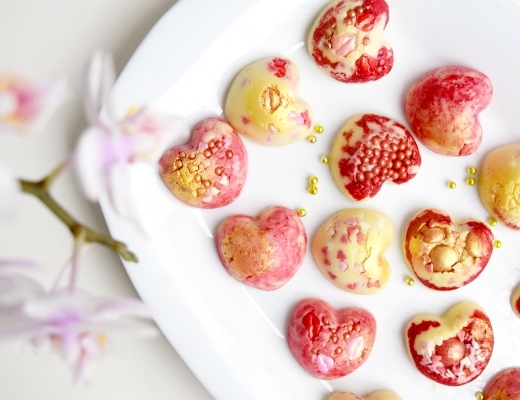 Once melted I decided to separate parts of it, dye it pink and put it back into the white chocolate in order to create a slight marble effect. You can get real creative with the colouring here. 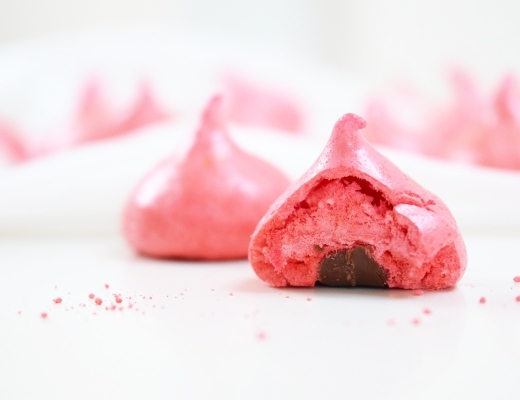 TIP: If you add white food colouring to the chocolate first you can really make any colour you add afterwards pop! This might be the best part of the whole process. I chose to go with sugar hearts for the top, and popping candy for the bottom for an extra surprise! 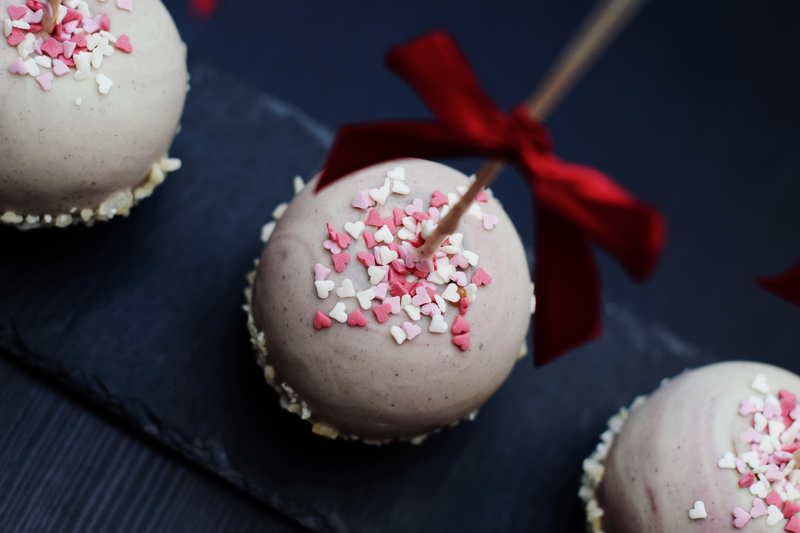 Start decorating straight after dipping the apples in the chocolate, as it will harden quicker than you think. Put them in the fridge to keep fresh and DONE! Wash apples, use boiling water if they are waxed. Insert skewers. 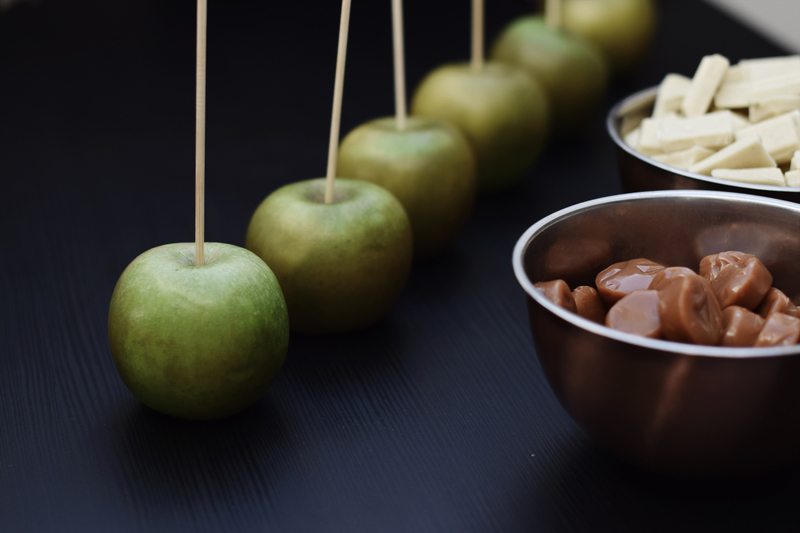 Melt Caramel in a pot over medium heat and dip apples with a swirling motion. Put on baking tray to dry. 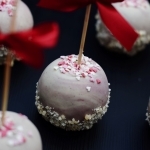 Melt chocolate in a bowl over boiling water and dip apples with a swirling motion. Put on baking tray to dry. 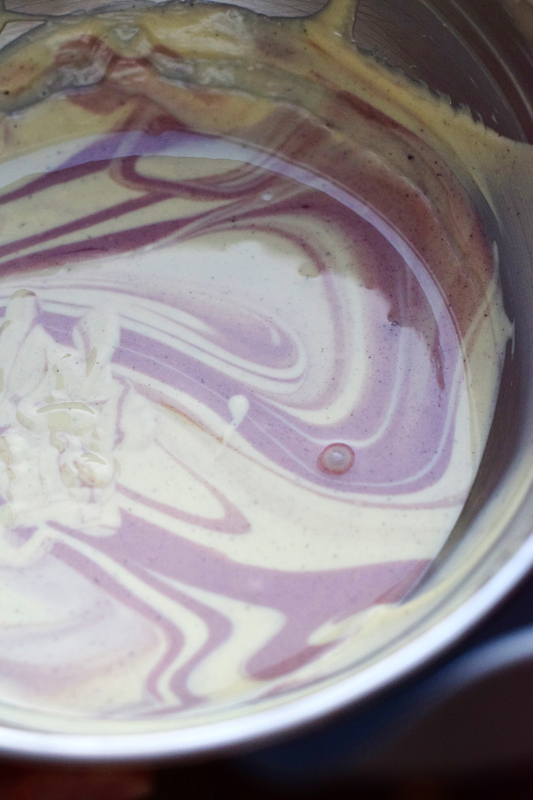 For marble effect: Separate some of the white chocolate, dye colour of choice, and add back into white chocolate. Avoid stirring to preserve marble effect. Dip apples in decorations of choice / add decorations. Put in fridge to harden, Serve.